Hair today, Gone tomorrow *Shudder* This IS my biggest nightmare. BUT this one comes pretty close! Add to it the fact that the older I get,the lesser the hair on my scalp seems to get. Some kind of weird inversely proportional thing going on here! Me not likey it much..so I try to take as much care of my tresses as possible. 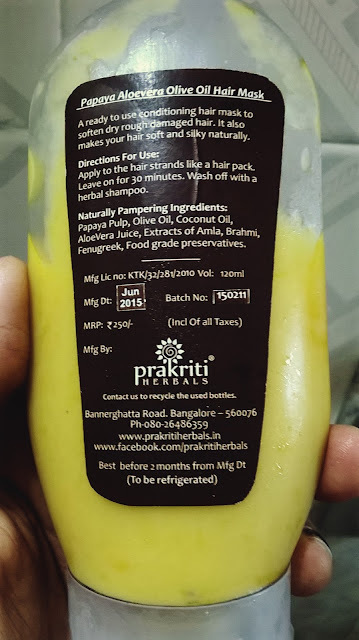 Oil it, shampoo it, condition it, nurture it..well, so far I have only managed to keep it intact in its dry, husky state of existence and not get it any worse but ever since my Jaundice bout last year,I have started taking extra care to make up for all the damage that it had to go through. Got it at Flipkart for Rs. 250 for 120 ml. Seemed quite steep but I have made my peace with the fact that natural, organic, chemicals-free stuff comes at a steeper price point. 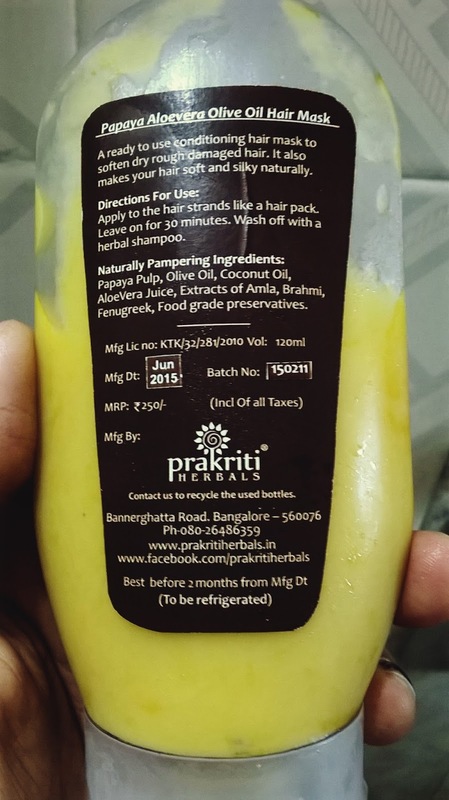 And some of my friends had been singing praises of Prakriti Herbals brand for providing really awesome products,so had to try this out :) Fair enough. 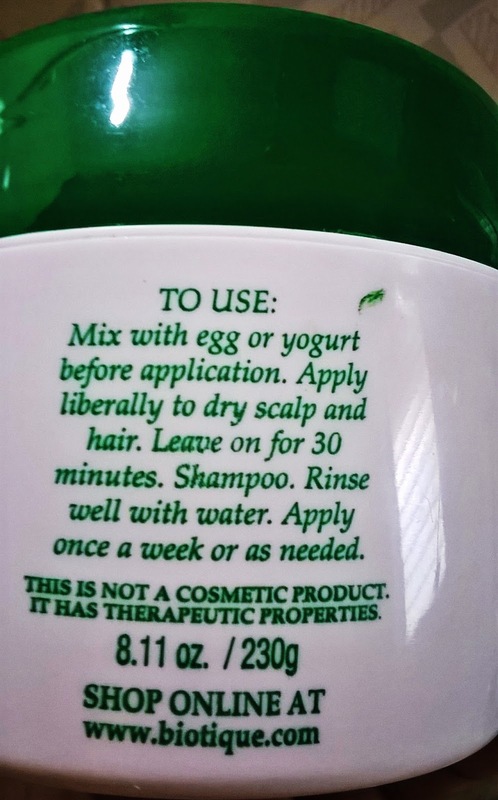 It is supposed to be kept on hair for 20 minutes to nourish it and then washed off. But since I hated the smell as well as the liquid-y texture is not my favorite,I kept it only for 10 minutes or so. Also, my hair is too dry so it dried up quickly and I had to wrestle a bit to take it off. At first,I did not think it did any good to my hair at all. But after using it 2 times, I found that my hairfall decreased a bit. It also became a little easier to comb after my hair dried. BUT it did not really miraculously soften my hair or made it more manageable in general or nourish it. I think it might work on someone whose hair is less dry and dehydrated than mine as my hair needs something really creamy and deeply nourishing. What I would really give full marks to is that it is truly purely natural and does not harm hair in any way. Available easily on Flipkart , Amazon etc. 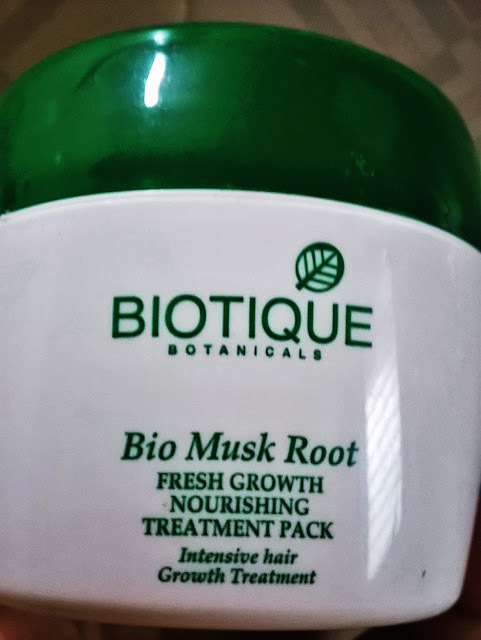 Recommended- I would not buy it again, BUT I would advise you to try it once if you do not have unbearably dry hair like mine and you want to support a brand that is trying to promote natural beauty :) My personal rating is 2.5/5. Does not give that feeling of a 'scrub' that I love :P Tooooooo gentle! Recommended- I don't think this is good scrub for anybody except for someone with very sensitive skin. It could be a better moisture mask. I will not buy it again and my rating is 2/5. 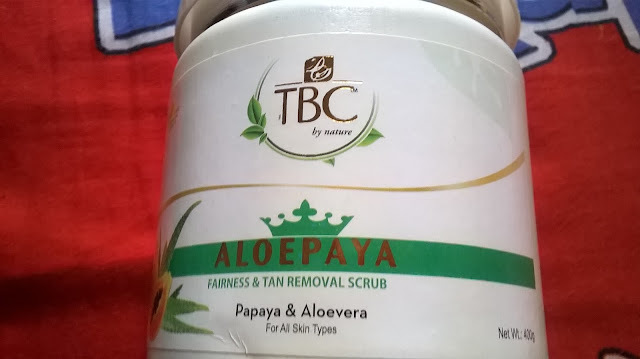 I love experimenting with new scrubs, as I feel that only scrubs can get rid of all the pollution that my skin faces everyday and I am obsessed with buffing away all the dead skin cells :D So I am always using new brands of scrubs,on face as well as body. 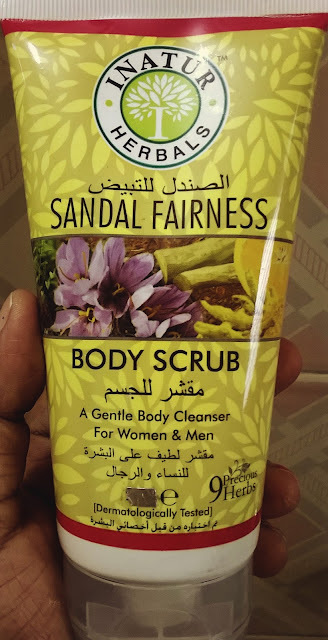 I had read about Inatur Herbals in one article on good herbal/ natural/ organic beauty brands in India and wanted to try out some of their products, so decided to start with this Sandal Fairness Body Scrub. Bought it from Flipkart for Rs. 210 for 150 gm (now it is Rs. 270) which is very value for money. Quantity is ample and will last easily for 2 months even on using twice-thrice a week on face. Packaging is very sturdy and it is a very travel friendly tube too. On opening the tube, this wonderfully pleasing aroma of sandalwood and turmeric envelopes us :) It really reinforces that this is a pure product with real ingredients as mentioned,not chemicals. The fragrance lingers on for about half hour and then disappears. 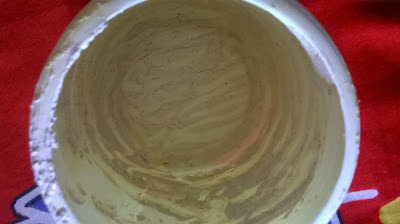 It is not a creamy scrub at all so no danger of it leading to pimples or any breakouts even on sensitive skin. There are many granules noticeable (see above) but they are all very gentle and did not scratch my skin at all. I would put it on and leave it for 5 minutes, then gently massage it and wash off. It leads to immediate softness and glow. I think it gives a little golden tinge (maybe due to turmeric's presence). Overall, I quite liked it. Recommended - Maybe :) I liked it for face not for body. 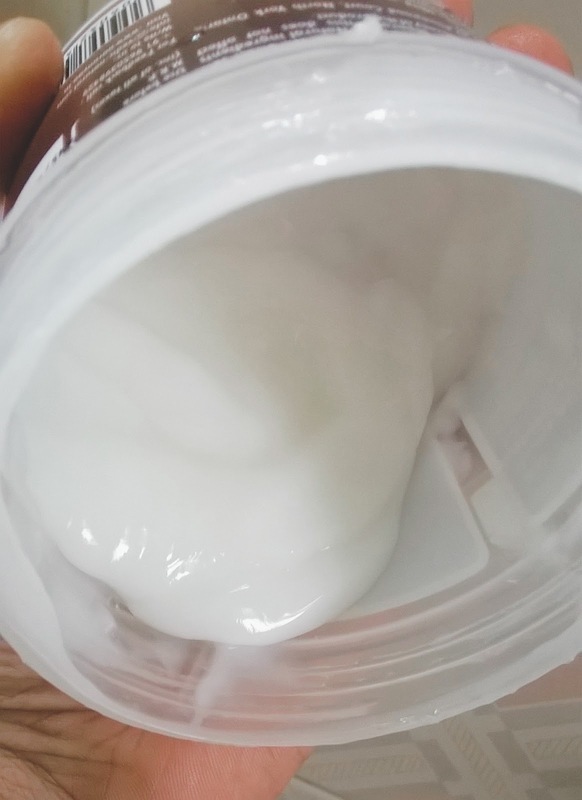 It would be wonderful for oily, sensitive skin. My rating is 3.5 on 5. 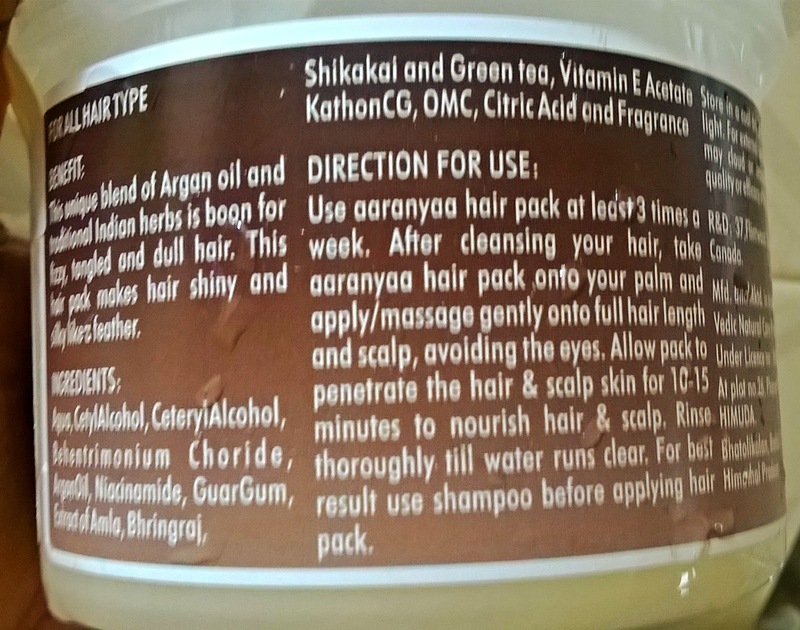 A college friend of mine has done beautician's course and keeps recommending products to me now and then, this one was her first recommendation to me about 3-4 years ago. 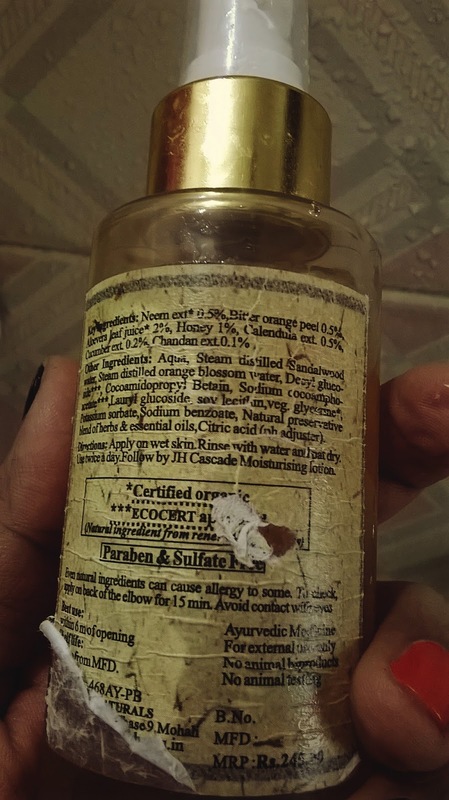 I loved Everyuth Apricot Scrub and Himalaya Walnut Scrub back then, she asked me to try this one and it became one of my favorites soon after! Over the years, I have bought it from Flipkart for about Rs. 200 for 80 gms as well as from Big Bazaar and other supermarket stores too. VLCC is a reputed brand for beauty products (and slimming solutions, but I have not tried that :P) The products are based on natural ingredients and this scrub is no different. It Claims to 'naturally exfoliate and refresh the skin, remove blackheads and give a porcelain clear complexion'. Ingredients list include Indian Berberry, Mango seed powder, Banana pulp, Kaolin Clay,Zinc Oxide and such items that really have a host of benefit when it comes to cleansing, exfoliating, nourishing and protecting our skin. Packaging is very sturdy and travel friendly. Quantity is enough to last 2 months easily even on using twice a week on face as only a little is needed. Not only face, perfect to use on elbows, back of the neck, knees and ankles too to soften them! 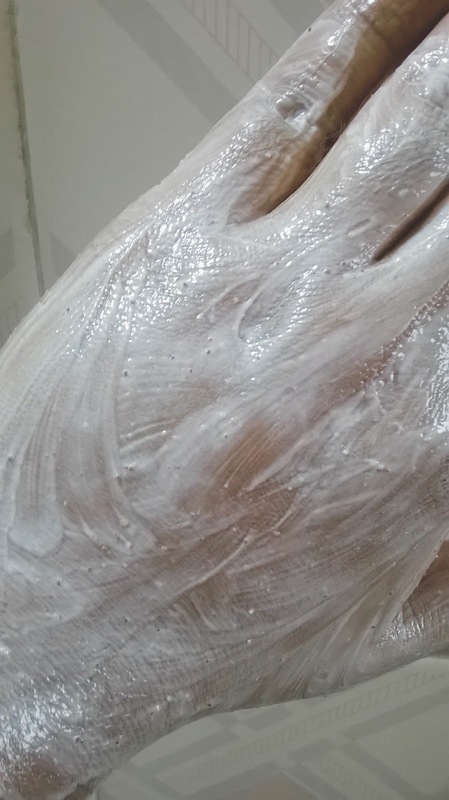 Sensitive skin people should not use it to scrub vigorously or it will lead to read patches and cuts on skin! One of the most classic beauty products I have been using for over a decade! 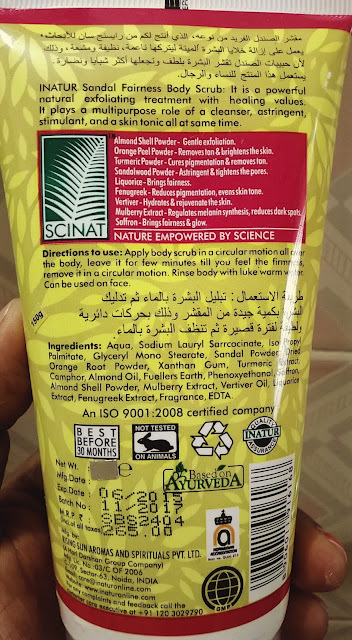 Till Class 10th,I was actually not at all into beauty or anything :D The maximum I would do is wash my face and put on some dreamflower talc :D Oh,also mom used to put a litre of oil on my hair every second day! It was only after I went to High School that I started putting some efforts into all this beauty thingy :D That too only because I had to travel 2 hours everyday to and fro the high school and I am very allergic to pollution and dirt. So that is when I started searching for and started using some scrubs, face packs etc. Ayur was actually the first brand I was introduced to,by my mom :) She had been using Ayur cleansing milk, rose toner and aloe vera cream since forever. 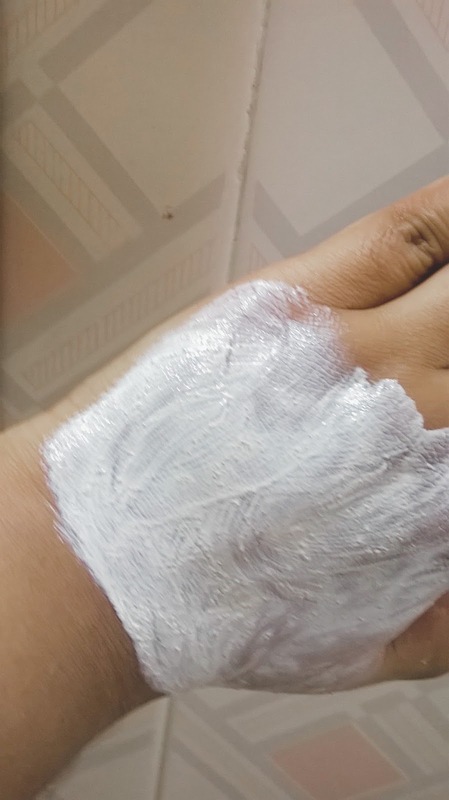 In fact,once or twice I had been to some beauty parlors with her and there also they used some Ayur products,so I knew that it has been a trustworthy brand for years. I chose Ayur Sandal Face Pack and Ayur Anti-Sun Tan Face Pack for starters and they became my staple for next decade! I LOVE these 2 so much. Sadly, now the company that makes Ayur has probably shut down and these are no longer available :( But still, on a hope that someday I might get these back..okay,here goes the review. Extremely value for money,these have been available for Rs. 35-40 per packet that easily lasts 15 days even if used everyday,generously. 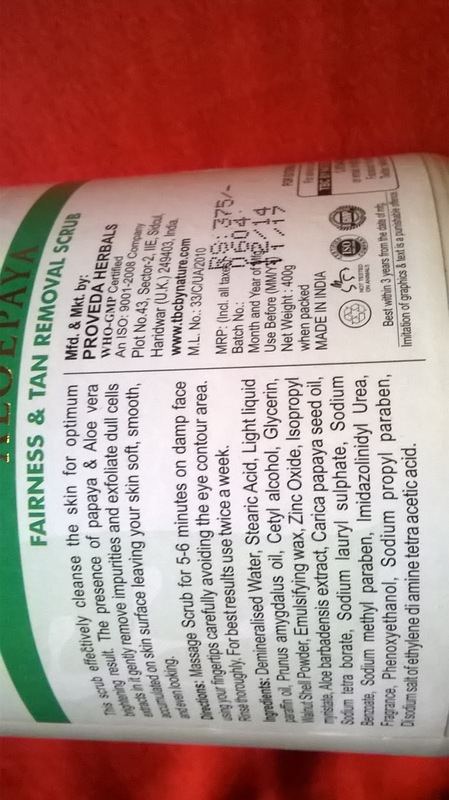 Claims include cleansing, toning the skin and nourishing/ softening it plus removing the tan. There are no big ‘miracle’ claims which is perfect. 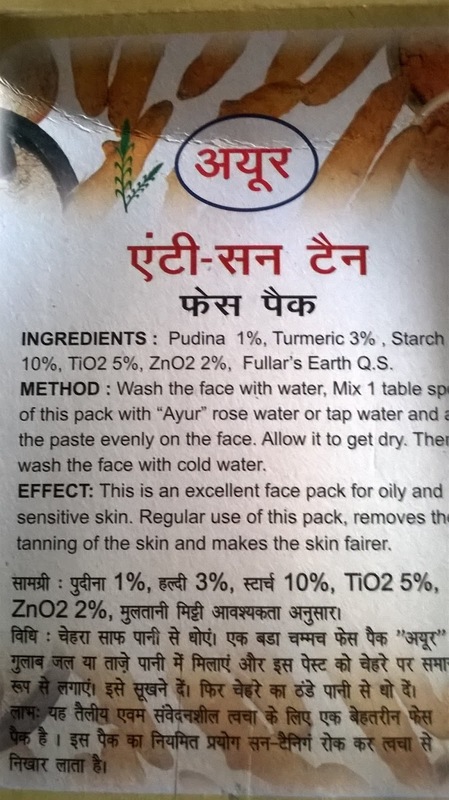 Ingredients include Multani Mitti as base + Turmeric + Pudina + Starch (God knows why and what is that :D) and in sandalwood face pack, also sandalwood powder :D It is all natural, available in powder form which needs to be mixed with rose water/ milk/ curd and make a paste to apply on face. Packaging is a standard sachet which needs to be transferred into an air tight container for proper storage. The whole process might seem a bit messy and cumbersome for someone but honestly, this much has to be done for good skin :P Our dadi and nani used to do just this,right? 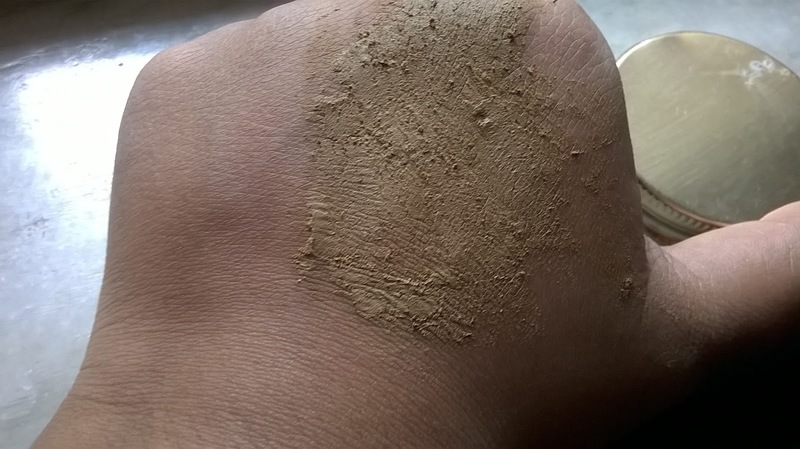 They would make all these pastes in their kitchen using ingredients like haldi and besan and mulethi and multani mitti and without any cosmetics,they used to glow! So I am fine with this much work. Effective as face pack PLUS as body ubtan too :D Just mix with Yoghurt and scrub all over the body. Instant soft skin! NOTHING! Except that I have no idea why these are no longer available anywhere :( Somebody says they have shut down,but nobody has any concrete idea. 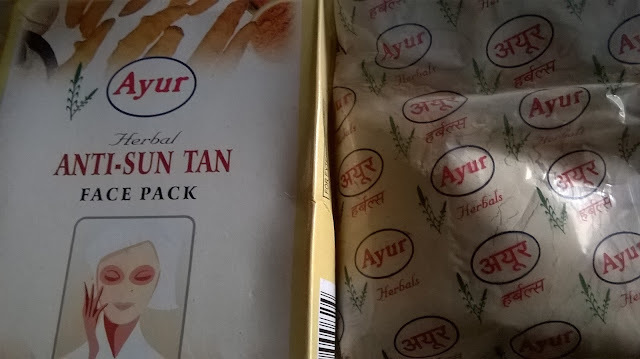 Ever since my favourite Ayur face packs went out of market (about 2 years ago), I have been searching for new ones to replace them. I won this product in a contest and it actually led me to learn more about Just Herbs and use their other products too! On social media,a lot of people had been going ga-ga over this brand and how natural and effective their products are. I am glad I got a chance to try them out too! 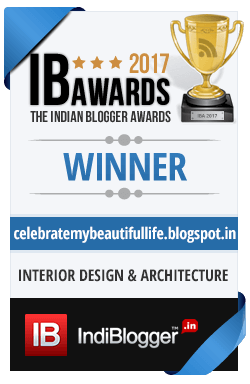 These products are available on their website as well as on Flipkart, Amazon etc. 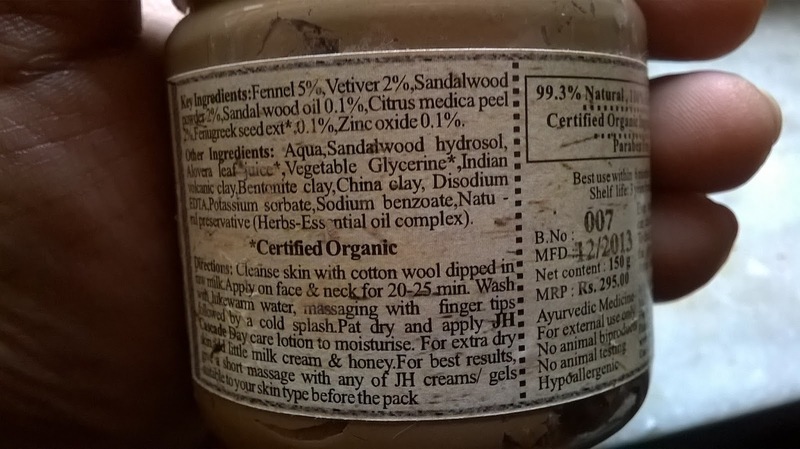 I have always bought my Just Herbs products from Flipkart. This is available for about Rs. 375 for 150 gms. I simply mixed it with a little bit of yoghurt to make it little more liquid-y and covered my face in it. It dries up in about 10 minutes and then I would splash cold water on it and massage a bit. 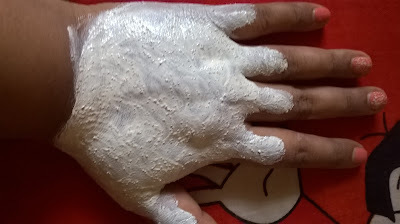 It gave a little stretchy feeling afterwards but nothing that can’t be solved by putting a little bit of moisturizer. The fragrance of sandalwood is divine! Gives instant tightening and glow. I would say this is perfect for oily skin people. It also shrank some little pimples I had,so extra points for that. Amazing fragrance, pure sandal comes through which is divine! Gives skin tightening, softening and glowing effect that lasts for at least 24 hours-so 100% performs every claim that it makes! Recommended- YES! I would give a rating of 3.75/5 and for oily skin,I think it would be perfect. I am using other Just Herbs products and they are all great! This is one brand that is here to stay for a long time. 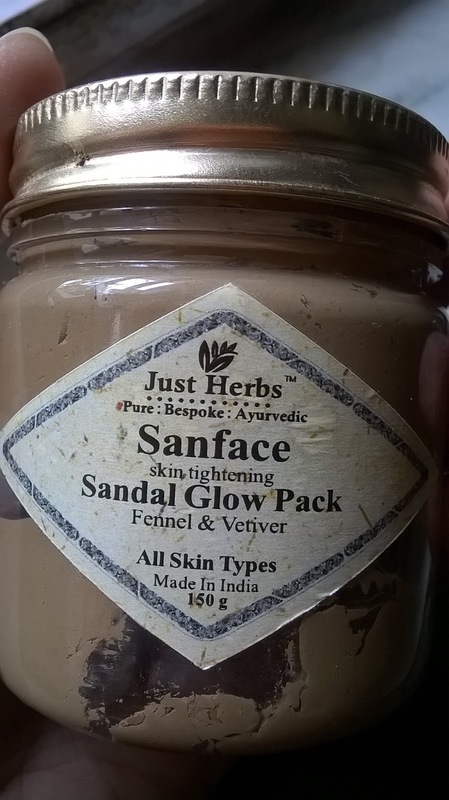 After using Just Herbs Sanface Face Pack sometime last year,I was intrigued to try more of Just Herbs products and this is my MOST FAVORITE one from the haul :) It is actually one of my most favourite face washes ever! I am not big on face wash and would actually use a mixture of haldi+besan or haldi+chandan to scrub away at the end of a tiring day. But with passage of time, that ritual has become little cumbersome :D Also, in past couple of years my skin has become more sensitive and more prone to problems like Blackheads, Whiteheads, Clogged Pores, unexpected Pimples, Acne Marks and what not. It could be stress, it could be the back to back bout of Jaundice that I had which lasted for a year! In any case,I am now extra careful about what I use on my face. Just Herbs gives ‘Pure,Bespoke,Ayurvedic’ remedies to all skin problems and I got this from Flipkart for Rs 325 for 100 ml. It is very value for money and lasts a long time. Perfect for sensitive skin, acne-prone skin, oily skin-and would NOT strip off moisture even from dry skin! 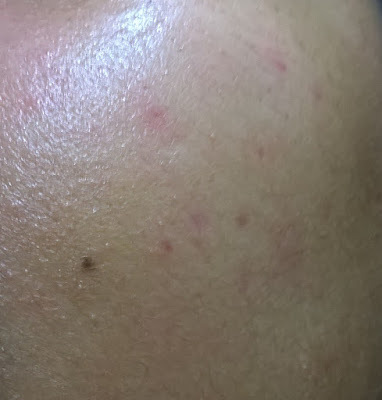 Works potently to make pimples and even old acne marks disappear within weeks! I have used many Biotique products over the years and mostly,they have been winners but somehow I keep falling out of love with them and then re-discover it sometime later and the circle continues in this weird relationship of ours :D This hair treatment pack is something I had used almost 5 years earlier and quite liked it but then somehow stopped using it, and remembered it again when I was searching for remedies for my hair damaged by Jaundice last year. Packaging is sturdy and good for travel too,in my opinion, even though I did not really travel anywhere with it. Claims that it would nourish the hair and scalp, lead to new hair growth, make hair darker, smoother, shinier and healthier. Ingredients include Musk Root and Bael extracts, Liquorice, Nutmeg,Jatamansi and Neem -a treasure of great Ayurvedic miracle workers! 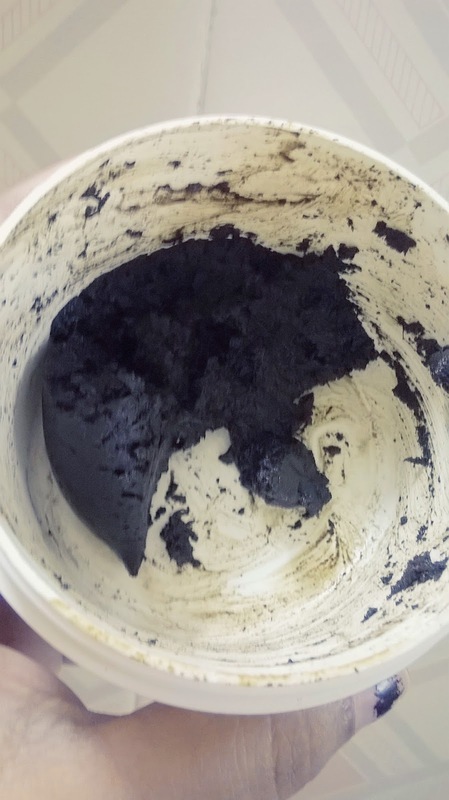 The texture is the weirdest as it looks like Chyawanprash :D It is actually very thick and needs to be liberally mixed with yoghurt (or egg) to make it spread easily on scalp and hair. The quantity is enough to last for 5-6 washes on shoulder length, thick head of hair. It also smells of a mixture of all the herbs that are present in it, not bad at all, not very strong either. 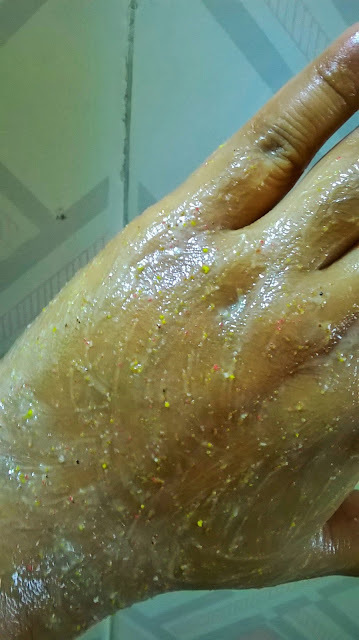 The only bothersome thing is,it is messy to apply and then to wait for half an hour after that it little annoying :D But then,we have to sacrifice something to get something na? I have only ever managed to leave it on for 15 minutes before washing it off. It stains my fingernails black too and so I recommend using gloves while applying it. It does not make my hair softer or detangles it much,BUT it does make it shinier and darker! I have noticed no new hair growth but it miraculously helped me with hairfall. I think this is the story of every person nowadays, the modern lifestyle has robbed us of little pleasures in life,including our crowning glory! So,like every person out there I am also searching for ways to regain and protect that lush head of hair. Hair spa is what everyone recommends but come on,I am not Bollywood Actress who can spend every week in a premium salon getting high-end treatments to look like a million bucks :P I can’t have a 1000 bucks hair spa every week and my hair is so dry and damaged (especially since I had Jaundice last year) that having a hair spa once a month makes almost no difference. Well, I have been oiling my hair and started using natural shampoos. Now I have also found a few good natural conditioners and this Aaranyaa hair spa has been my best discovery when it comes to hair mask! 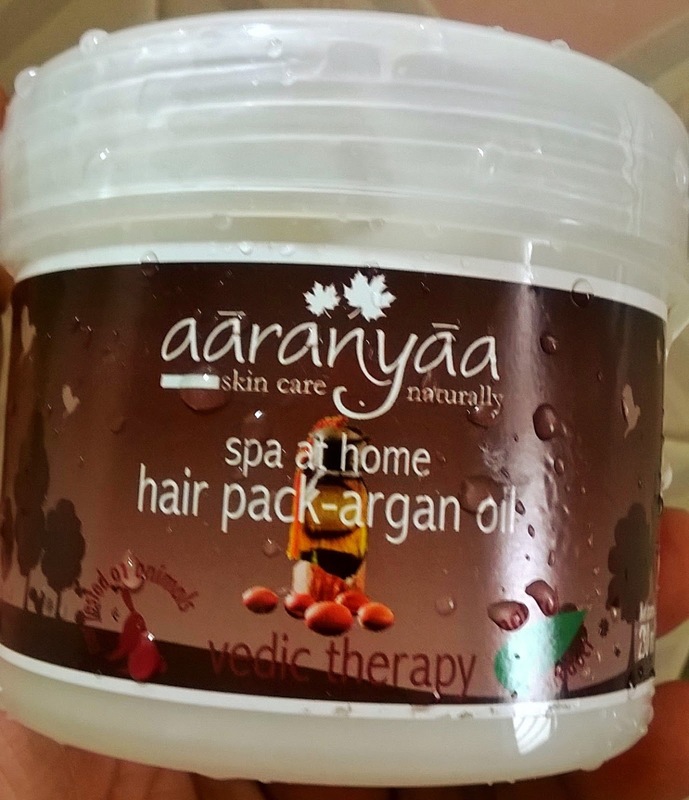 Perfect hair spa at home-gives the same results as an expensive spa at salon,at 1/10th the price! Gives us a world-famous ingredient like Argan Oil in such value for money product,nothing beats that! Add to that ingredients like Amla, Bhringraj, Shikakai etc. and it is a must have. Availability-I have not seen it in Big Bazaar or anywhere. Get it from Flipkart or Amazon. Availability could be an issue. Get it on Flipkart or Amazon. RECOMMENDED-YES! My rating is 4.5 on 5 and I am definitely buying it again,once I get bored of whatever I am using right now :P It is a repeat purchase for sure.